After all the waiting and anticipation, our little star is finally born. This explains my absence during the past two weeks, as I am still adjusting to my new role as a mother of two. Unlike my first birthing experience, this one was a little bit stress-free. I knew what was going to happen and was prepared for the worst. My little Michaela was born via scheduled c-section. I checked in at the hospital a day before the actual surgery. All the monitoring and preparations were done a day before. I am also very lucky to have good friends who worked at the hospital and were very helpful with the preparations. The moral support and reassurances made a lot of difference in the whole experience. I couldn’t help but shed off tears when I heard her first cry. This was an experience that I never had with Jakub. Back when I had him, I had general anesthesia and was completely knocked out. This time, the surgery took a little more than 45mins. The anesthesiologist and my husband talked to me through the whole process and that alone helped a lot. Afterwhich, I was transferred to the ICU for a day to aid in recovery. The actual surgery was completely painless except for some sensations of pressure here and there. However, the recovery was painful. I had to ask the nurse for pain reliever shots and just slept it off. I am not sure if it is common practice here in Czech, but it seemed like breastfeeding is almost a given. While in the ICU, my daughter was brought to me twice and I was encouraged to breastfeed. I was too weak to do anything fruitful, so all those attempts were unsuccessful. The nurses were understanding and they continued to encourage me to always give it a try. The next day, I was asked to stand and take a shower. I was then transferred to a regular room where I had my daughter room in with me. As with the previous attempts, there was again the push to breastfeed. The nurses never even broached the topic of feeding formula to my newborn. It was as if every mother is expected to breastfeed. And so I did. And guess what? It all paid off. I am proud to say that my daughter was completely breastfed from the day she was born. Again, another experience that I never had with Jakub. There were only 2 things that I didn’t like about this experience: 1) the hospital parking arrangements and; 2) the cleanliness of the bathrooms. The Kolin hospital probably has one of the worst parking arrangements that I’ve seen here in CZ. There is no designated parking for patients (people park on the streets) and only 3 parking spaces for newborn pick-ups. Another con is the cleanliness of the bathrooms in the hospital. The building is quite old and has seen better days. Although some parts have already undergone some extensive renovation, others have remained old and untouched. Perhaps one aspect that I really didn’t like was the way the bathrooms were kept. There were a few traces of mold on the tiles and shower curtains. I may be overacting, but I thought it should have been better. Bathroom cleanliness is one of my pet peeves. However, despite these 2 technical negatives, I was quite satisfied with the service that I was accorded. I’ve heard horror stories about impolite nurses at this hospital, but I didn’t meet a single nurse who was rude to me. The doctors themselves were also very competent and professional. These made a whole lot of difference in the whole experience and somehow made those technical negatives better. Right now, we are already back home and I am slowly trying to get to know my daughter. Jakub is very excited in his new role as a big brother and I am lucky to have my husband and mother-in-law stay with me for 3 weeks until I regain my strength back. I’ve had a series of sleepless nights but otherwise happy to be home and spend time with my new daughter and loved ones. Last weekend, we went to the mountains and spent our weekend in a cottage with some friends. We were blessed with perfect weather, so we spent a lot of time outdoors. The scenery in the meadows was very beautiful. My son had a lot of fun even with very simple things. 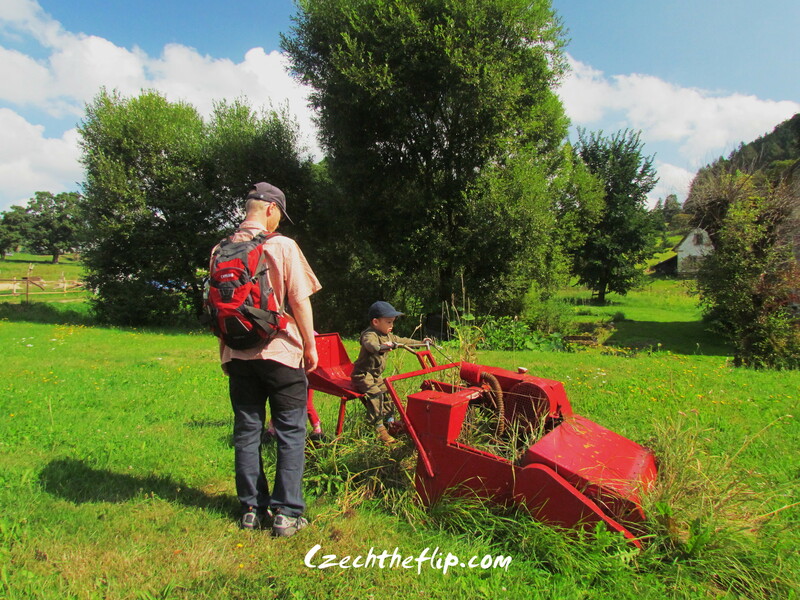 We went to a little village close to Broumov, on the other side of Adršpach. 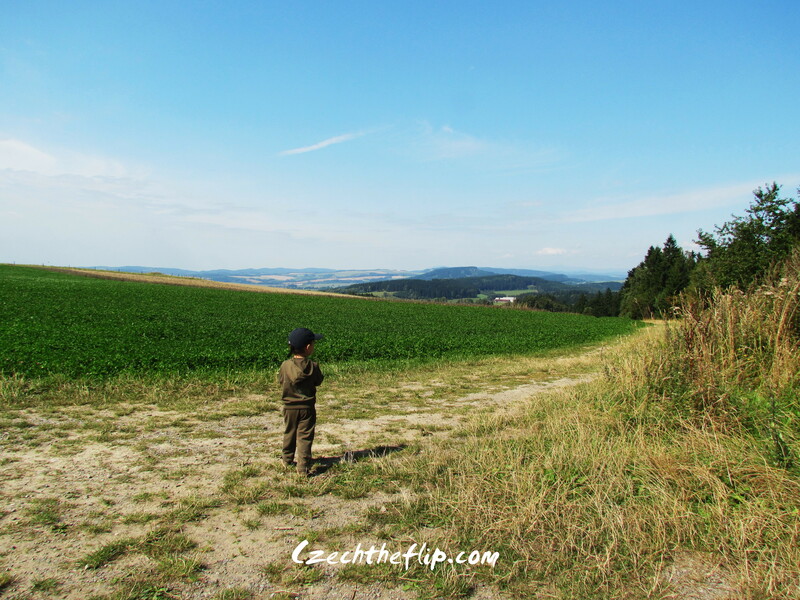 In one of our hikes, we came very close to Poland. I’ve never seen border markers other than the actual borders with guards and everything. 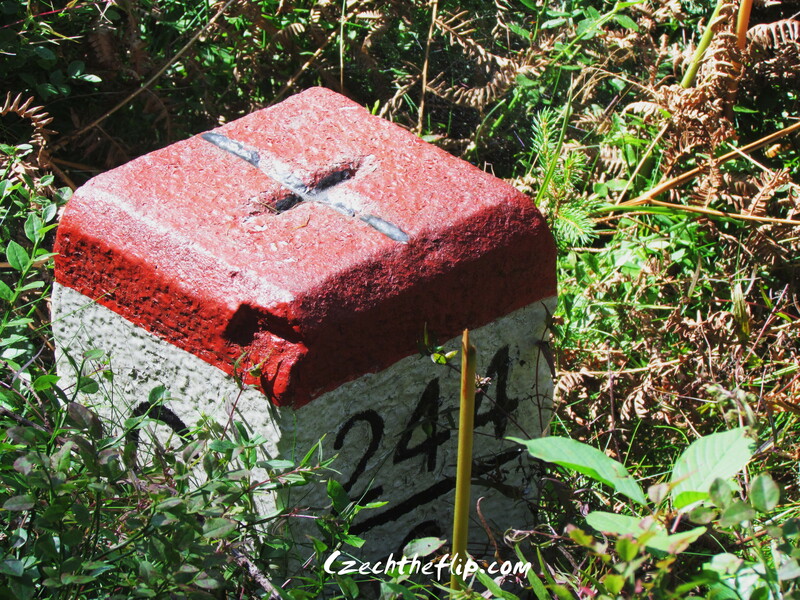 It was the first time I ever saw a border marker in the forest. Here is one of them. 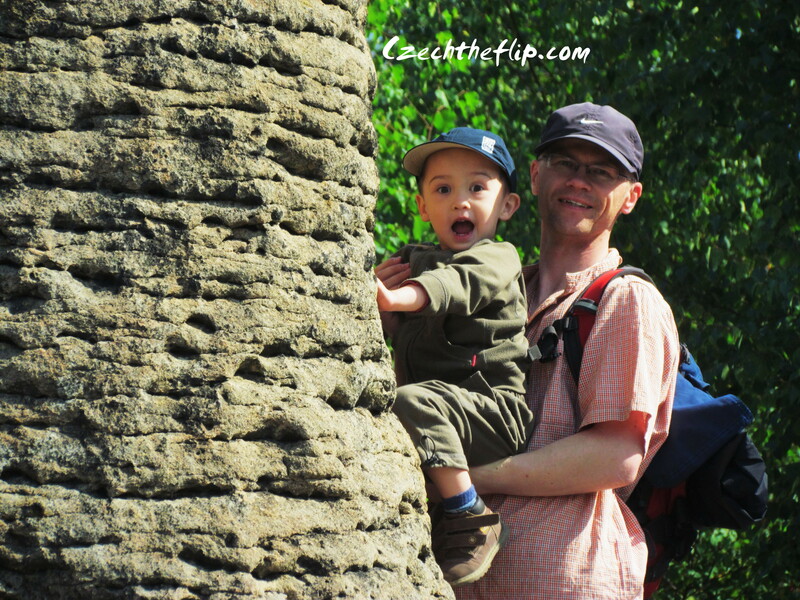 Our friends chose easy hikes since we were there with children. It was also meant to accommodate my capabilities. I’m glad that despite the heaviness in my belly, I still managed to walk and enjoy it. Albeit, I didn’t make it through everything. Plus, at this stage of my pregnancy, frequent bathroom visits is another big obstacle. My son and my husband had a lot of fun though. 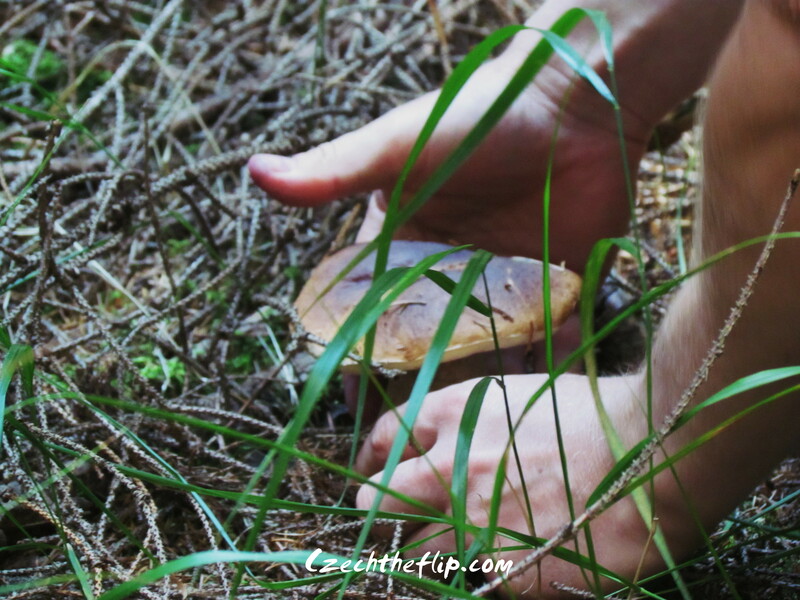 My husband found his little treasure – a mushroom. On the next day’s hike, I decided to sit it out. I just couldn’t manage to jump off rocks anymore. I just busied myself with capturing images of my loved ones. Anyhow, everything went well and I’m glad we made that trip. 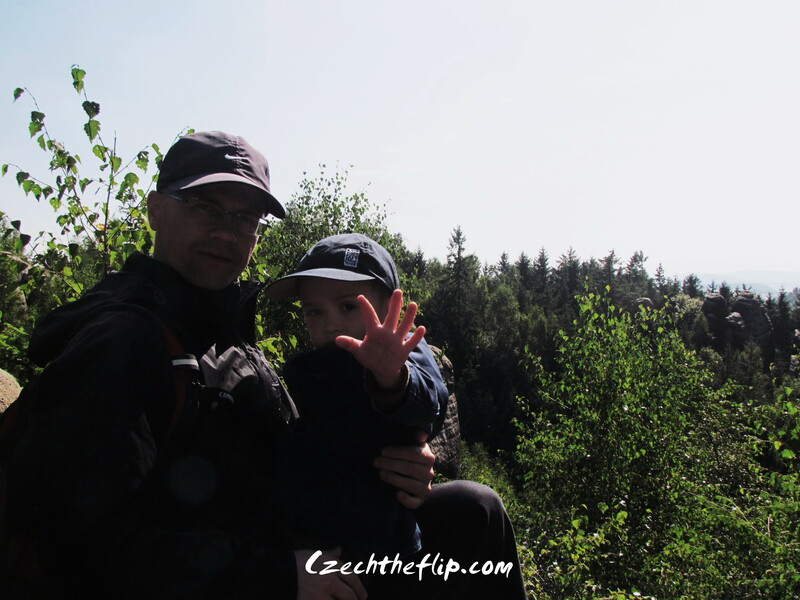 It was one very typical Czech weekend and one worth remembering. We only have 2 months left before another member of our family is here. Since this is already my third trimester, I have been feeling very sluggish lately and cannot seem to get myself off the couch. I feel bad for Jakub because this is the time when he is most active and really wants some interaction. But who can blame me, with a burgeoning belly like mine, laziness is an expected side effect. All I can do now is do some educational things with him as we are stuck at home. For now, this is the book that Jakub and I are currently reading. 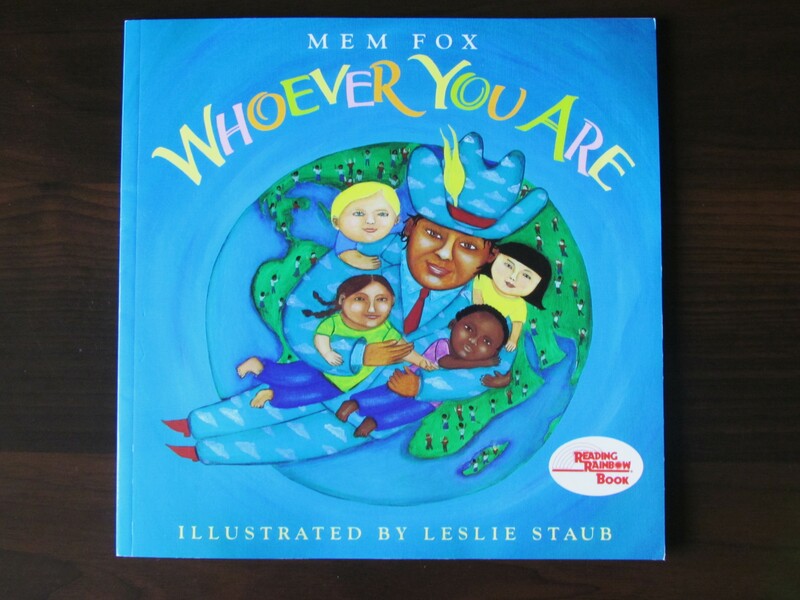 It’s a great introductory book about the existence of different ethnicities. This early on, I intend to make him realize that the world is full of different people, and it’s ok to be different. In our area, we are the only multi-cultural household, so I think it is best for him to understand this at the onset. One of the challenges of living in CZ is finding a good English book. Of course, most bookstores do sell English books but the selection is very limited. There could be a wider selection in the bookstores in Prague, but since it is 45mins away from us, travelling all the way there is such a hassle in my present condition. Luckily, I found this great website with the widest selection of books even offering free shipping. The items are reasonably priced and delivered on time. If you live in an area where high quality english books are hard to find, it is worth checking out. To go to their website, please click here. Anyway, to keep myself occupied, I recently busied myself with “nesting.” We have finished cleaning up our new arrival’s future room and I did some minor decorations. I’ll post some pictures as soon as it is finished. I also organized some of our picture albums and was surprised to realize how well I’ve documented the growth of my children from conception to birth. 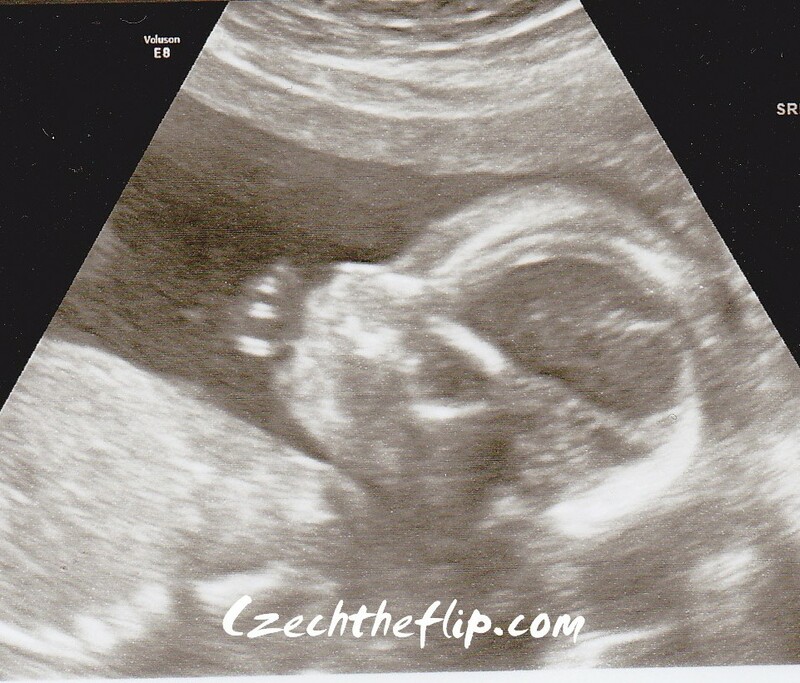 As an example, here are 2 ultrasound pics of both my children at the same stages. 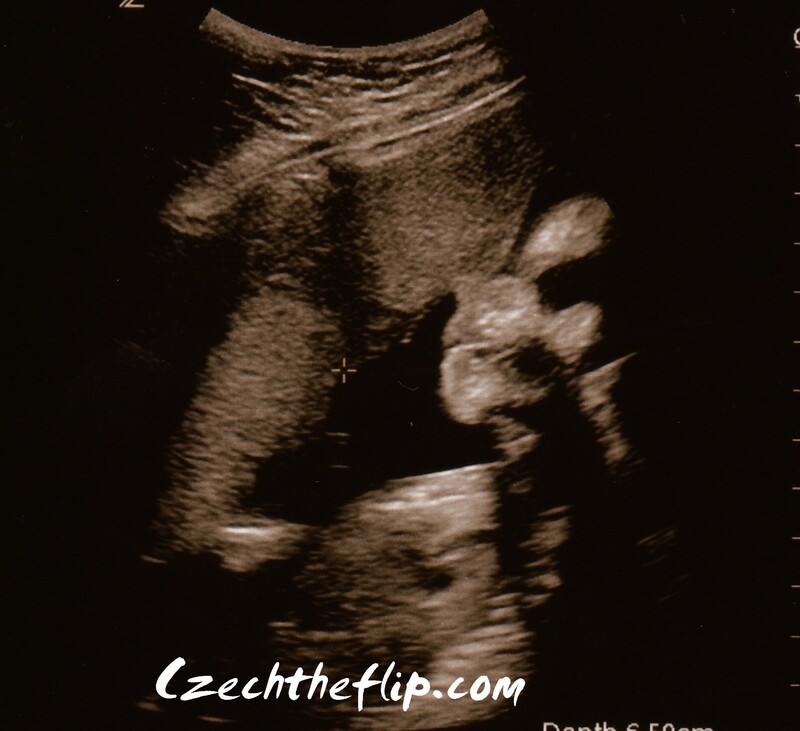 Based on these ultrasound pics, it looks like both of them will have similar features. They all look like me. The excitement is mounting. We’ll see.